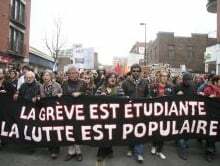 “If we are no longer able to protest in our society, it becomes a totalitarian society,” said Louis Roy, head of the Confédération des Syndicats Nationaux (CSN), which represents most university and college teachers in the province. “We are telling our members to defend their fundamental right, the right to demonstrate,” he added. 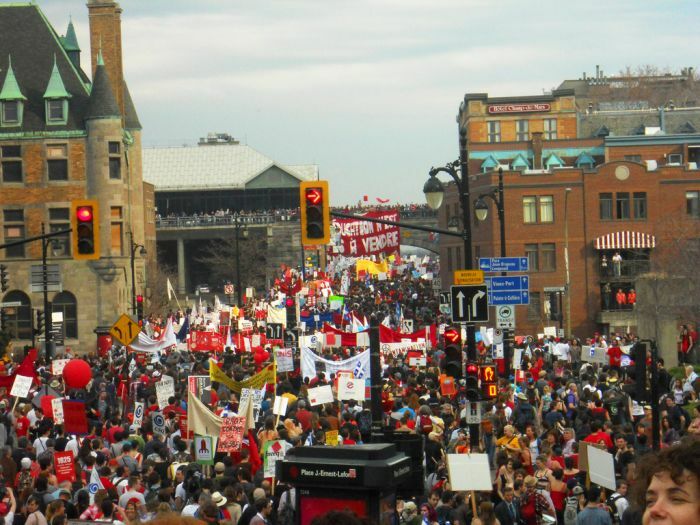 One of the spokespeople for the organization representing the majority of the 155,000 students on strike said they may participate in civil disobedience to challenge the law. 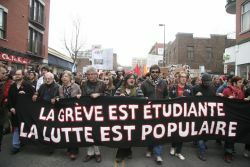 “[We] are not excluding the possibility of disobeying this special law,” said Gabriel Nadeau-Dubois, co-spokesperson with the Enlarged Coalition of the Association for a Solidarity Among Student Unions (CLASSE). Should any student association be reported to be taking part in these kinds of activities, the government reserves to right to suspend all student union fees (at the rate of one semester’s worth of fees per day that the law is broken), as well as access to campus offices. 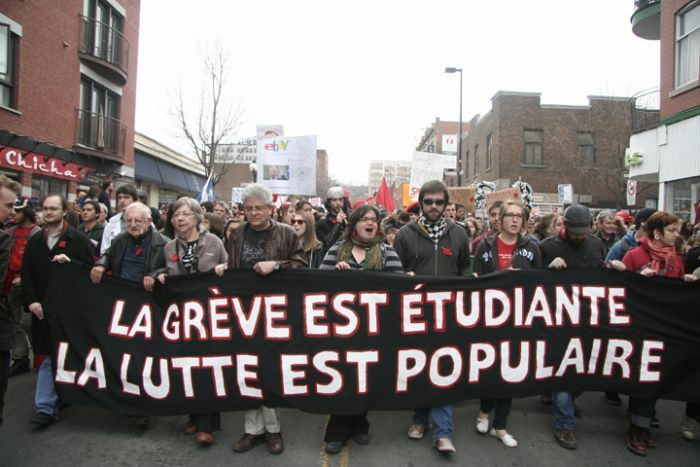 Both fees and access to offices are provided under the Quebec student union accreditation law.